The Proboscis Monkey is found exclusively in the rainforests of Borneo. 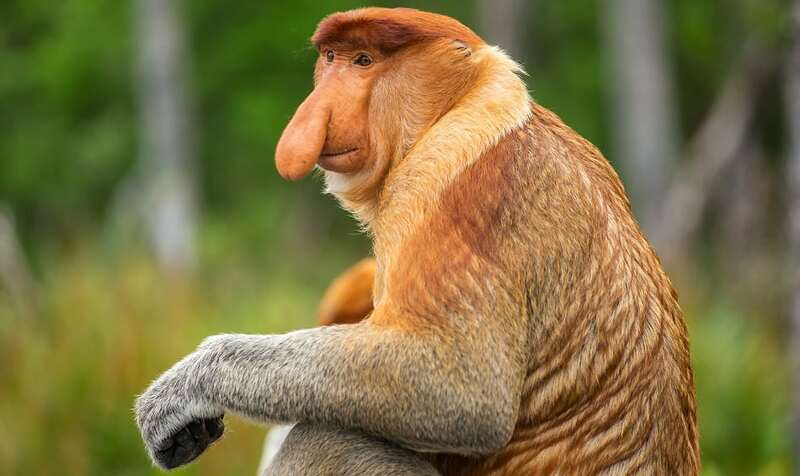 The male Proboscis Monkey is not only one of the largest monkeys in Asia but they are also one of the world’s most distinctive mammals, having a long and fleshy nose and a large, swollen stomach. The Proboscis Monkey is an endangered species.